Samsung has unveiled two new phones, the Galaxy Note & the ATIV S, at the ongoing IFA event in Berlin. The Note 2 is the second installment in the Note lineup, and the ATIV S holds the title of being the first Windows Phone 8 smartphone in the market. Samsung shipped 10m units of the original Galaxy Note all over the world, though it did not experience much success in the Unites States. Possibly the second generation Note will change this statistic, as it comes with several enhancements. 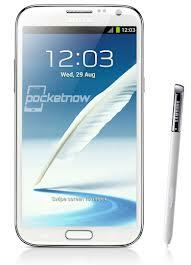 The Galaxy Note 2 is designed to match the benchmarks set by its cousin, the Galaxy S3. The previous Note was a bit utilitarian in look. The South Korean manufacturer has decided to change the display dimensions in a positive manner. The diagonal dimension has been increased from 5.3-inches to 5.5, with the 16:9 aspect ratio. This results in a narrower handset, which makes it easier to hold. Other features include quad-core CPU, an 8 MP snapper, more storage options, & better radio configurations. Samsung also surprised tech-lovers community by unveiling the first Windows Phone 8 smartphone. We expected Nokia to be the first manufacturer to release a device on Windows Phone 8 platform. And from a specification perspective, the ATIV S is undoubtedly impressive. It comes with a number of attributes that earlier generations of Windows Phones were not able to put forward. For instance, the new handset comes with dual-core CPU, high-definition screen, and expandable memory. Both the devices seem promising, but we are still waiting for Nokia’s announcements.